Mason's Pie Feast was last week and they asked all the parents to provide a pie. The traditional apple, pumpkin, chocolate cream, etc. were all scooped up pretty quickly and so I thought I would think "outside the box" and and bring a chicken pot pie. Mason looked at me like I was CRAZY and told me that peas and carrots in a pie were not his idea of a good time so instead I opted to make an ice cream pie and it was a HIT! - Leave your ice cream out on the counter for about 20 minutes or so until it softens. 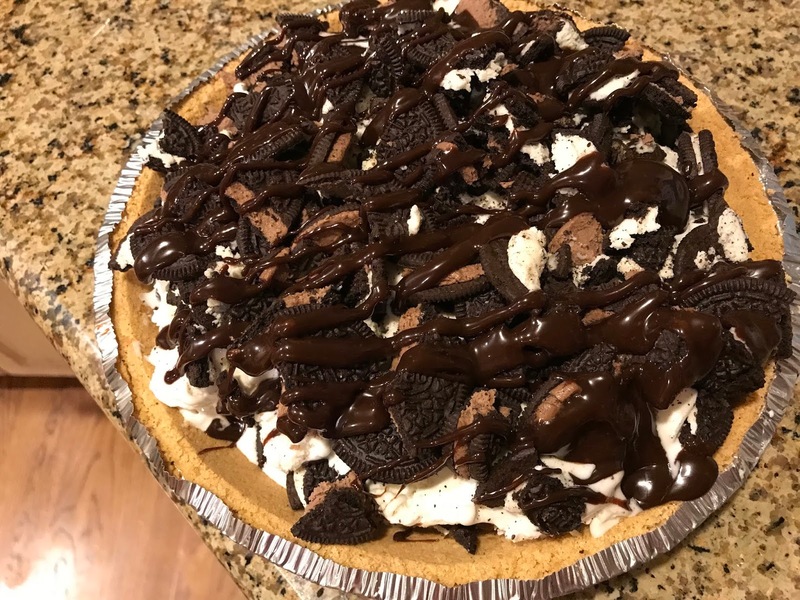 Spread half of it into the pre-made crust, then crumble Oreos on top, pour on some hot fudge and then repeat. Pop it back into the freezer to firm up again until you're ready to serve. We pulled it out of the freezer about 15 minutes before serving and it was perfect. That's it! SO EASY and a HUGE hit with kids and adults alike :) I'm planning on making this again for Thanksgiving per the request of my kids (two who didn't get to try it and want to and one who had it and is BEGGING for it again!) and am excited to have this "recipe" on hand for other occasions. You could easily make this fit your tastes by varying the ice cream flavor, using more than one flavor, adding caramel, using different cookies, adding chopped up candy, etc. Hahahaha! You had me at the TITLE! SO EASY! And looks yummy! Oh my goodness!! Yes PLEASE! Yum! I'm thinking I will try it but with the oreo cookie crust to start for more chocolate goodness. We used to make all kinds of these when I was a kid! Never really a cake fan, these are what I wanted for my birthday. Oreo crust with strawberry ice cream for Valentine's day. Cookie dough ice cream and brownie crumbles. Possibilities are endless! I've made something similar in a 9x13 pan with an oreo crust and either mint chocolate chip ice cream or coffee ice cream. Both are delish! 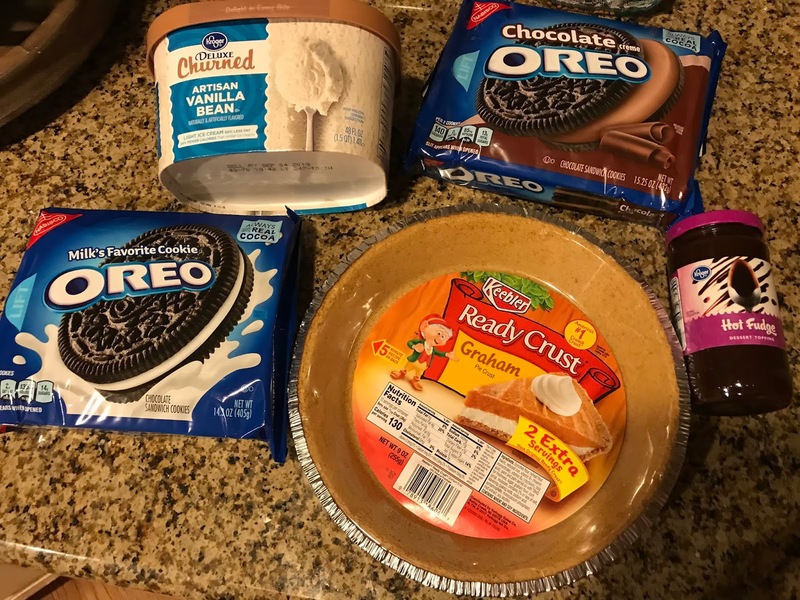 Did you know you can buy a pre-made oreo pie crust? I bet that would be fabulous with this new recipe! 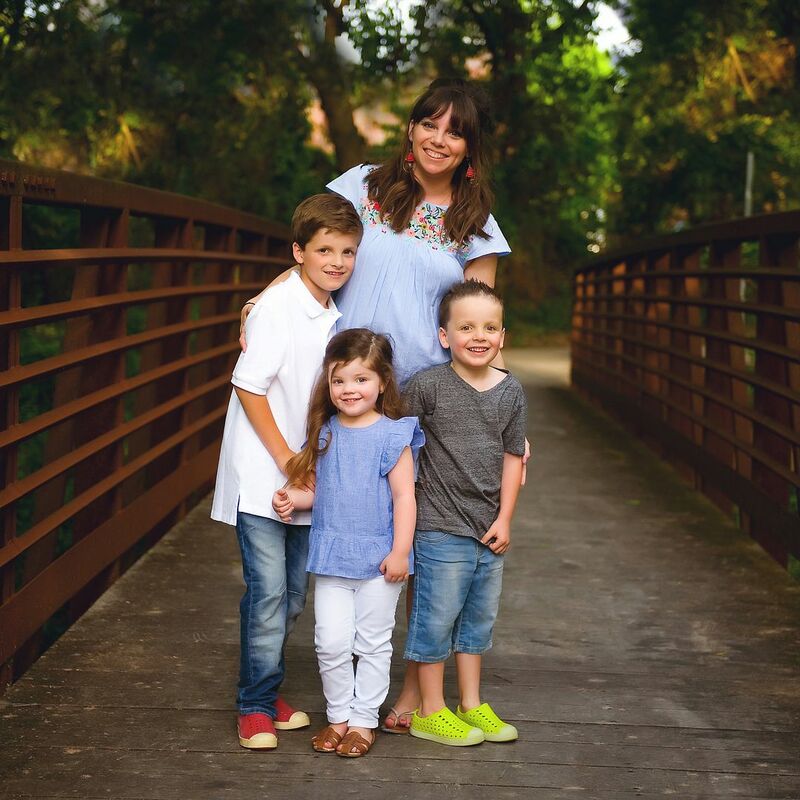 Happy Thanksgiving to you & your precious family! Girl! This looks amazing! Saving it now! I bet this pie was the hit of the party;). I do thunder a chocolate cookie crust and mint chocolate chip ice cream..then too with whipped cream! so good! Happy Thanksgiving! With similar ingredients I make an "ice cream pizza". 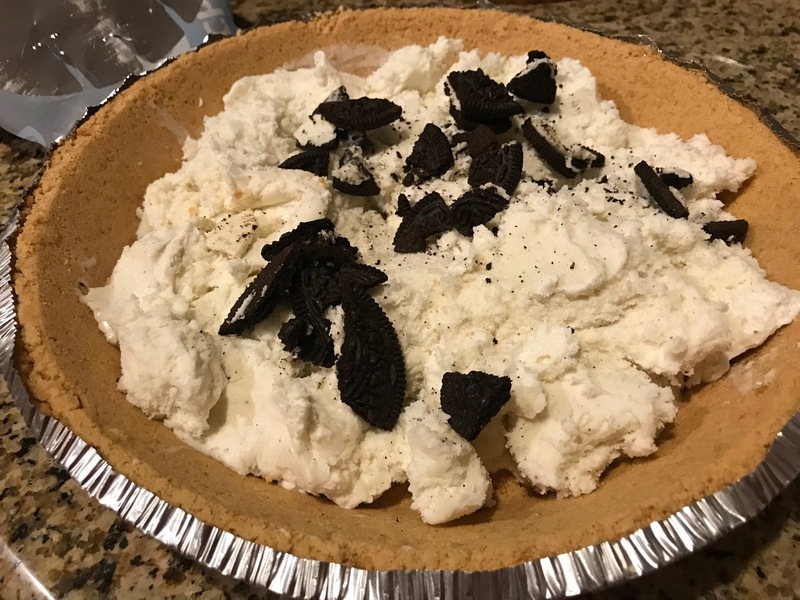 The crushed oreos and butter become the crust, and the ice cream is spread on top (peppermint is especially good at Christmas! ), and drizzle chocolate syrup on top. I have a similar recipe, but an Oreo crust, vanilla ice cream & layers or caramel and heath! Always a big hit! Hi I know you guys love the game ticket to ride. It’s one of our favorites too. Another one of our favorites is Apples To Apples Junior. Our whole family loves it. You should check it out. I think your kids would love it. Holy cow, does this look amazing. Definitely happening here soon! I make something similar except I go to a local ice cream shop and get a malt and pour it in a crust, freeze and tip it with whip cream or cool whip. You could also stop at Dairy Queen and get a blizzard. Oreo and Oreo crust is good, so is chocolate marshmallow in graham cracker. Strawberry in a graham cracker crust is amazing!